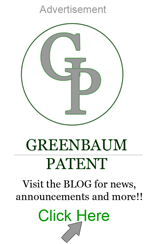 Inhalable Vitamins - Greenbaum P.C. Tired of old-fashioned pill-based vitamins, the Le Whif corporation has introduced an a product that delivers an inhalable dose of daily vitamins. The device works by delivering a fine, powdered form of supplements with each dose. The dosing or "whiffing" involves inhaling the powder into the mouth where it is absorbed directly into the bloodstream. Because whiffing bypasses the digestive system it avoids the "first pass effect" where the body filters out chemical substances before they enter the bloodstream. This allows for very efficient dosing. The inhalable vitamin product is marketed as "an innovative alternative to those one-a-day horse pills that leave your urine neon."